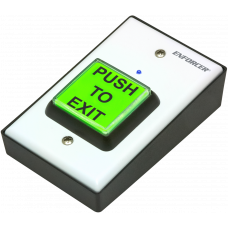 The ENFORCER Wireless Desktop Transmitter is the ideal solution for difficult access control installations. The Wireless Desktop Transmitter is perfect for various desktop applications, mounting on cement or brick walls, or any other location where it is difficult to run wires. ​*Actual operating range will vary greatly depending on the installation and operating environment.